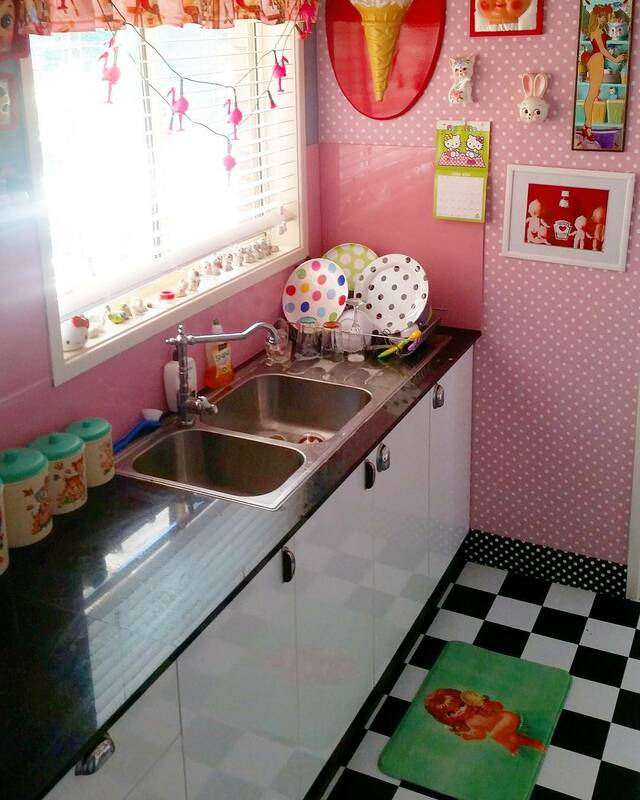 Retro kitchen decor is a great choice. 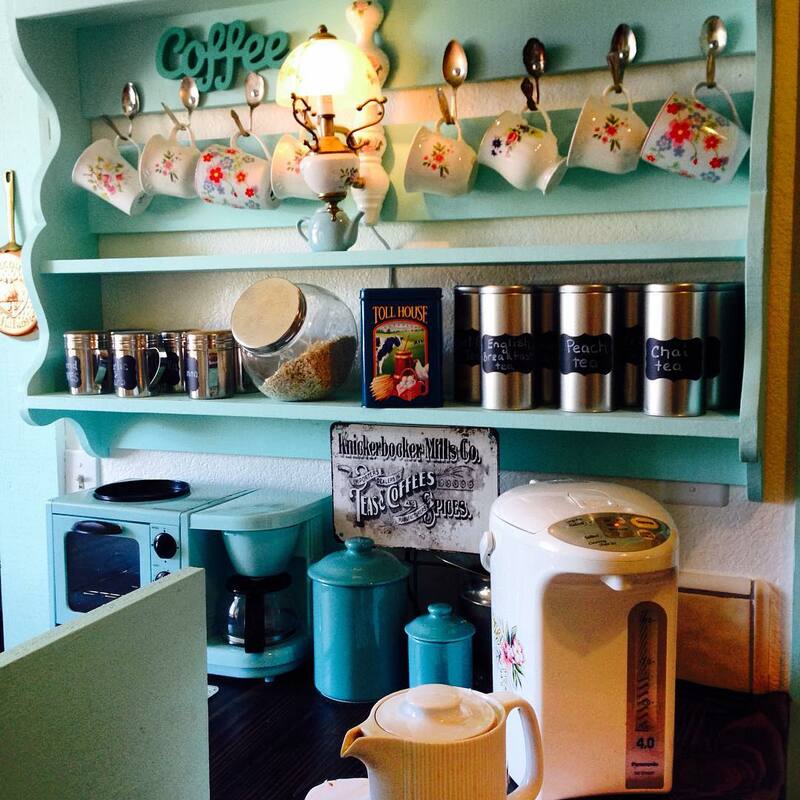 I love vintage and retro… sometimes I use both in the same decorating plan. 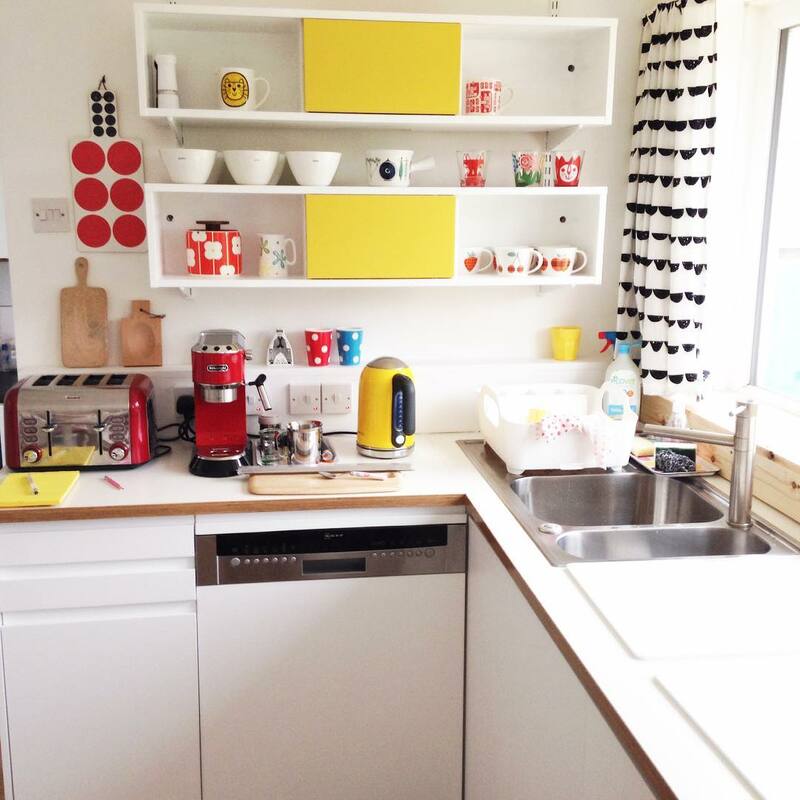 Achieving a retro kitchen doesn’t mean you have to gut or demolish the kitchen and start from scratch. We can’t all afford to do that. Adding some simple, retro touches can turn an uninspired room into your dream retro kitchen — nostalgia at it’s best. 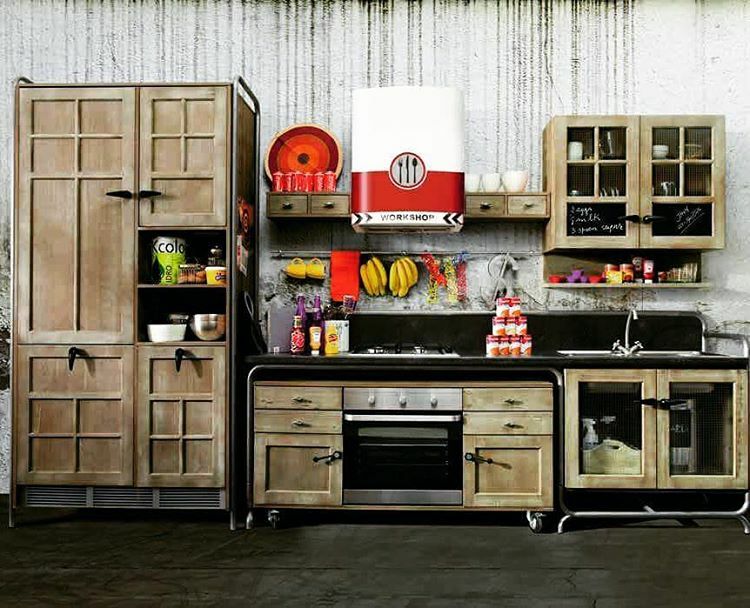 Whether you like the diner look or the atomic/space age look, you’ll find ideas, suggestions and products that will help you create your own retro kitchen. Below are some ways to incorporate a retro feel in your existing kitchen without breaking the bank. 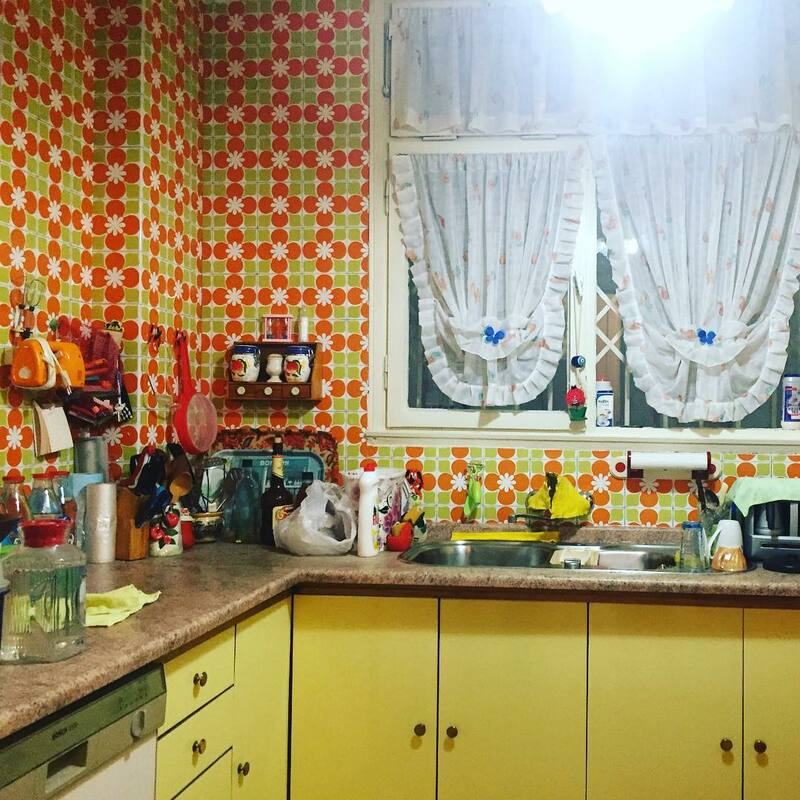 Let’s take a look at 3 ways to capture that retro feel in your kitchen. The 1950’s were about change. Post War America was ready for change. The 1950’s marked the beginning of the modern era in design. Today, we call it Retro-Mod or Retro Modern meaning for the times it was very forward thinking, futuristic, space age even. It was a totally different look from the past. We were a nation on the move through the middle of the 20th century. Robotics, technology and space exploration were on everybody’s mind. This translated in the design world to new wall color schemes, modern conveniences and technology we had never seen before. Red — Red was very popular in the 50’s. It was usually mixed with the neutrals, black and white. It’s the classic diner look so many of us think of as being tied to the 50’s. It was commonplace for counter tops and/or floors to be red with the cabinets and/or walls white for contrast. Another popular look was black and white checked floors with red Formica table tops and red and white upholstered chairs. Anyway you slice it, red, black and white is definitely a 50’s color scheme. Pink — It seems odd to have pink as a color for any room but a bedroom. 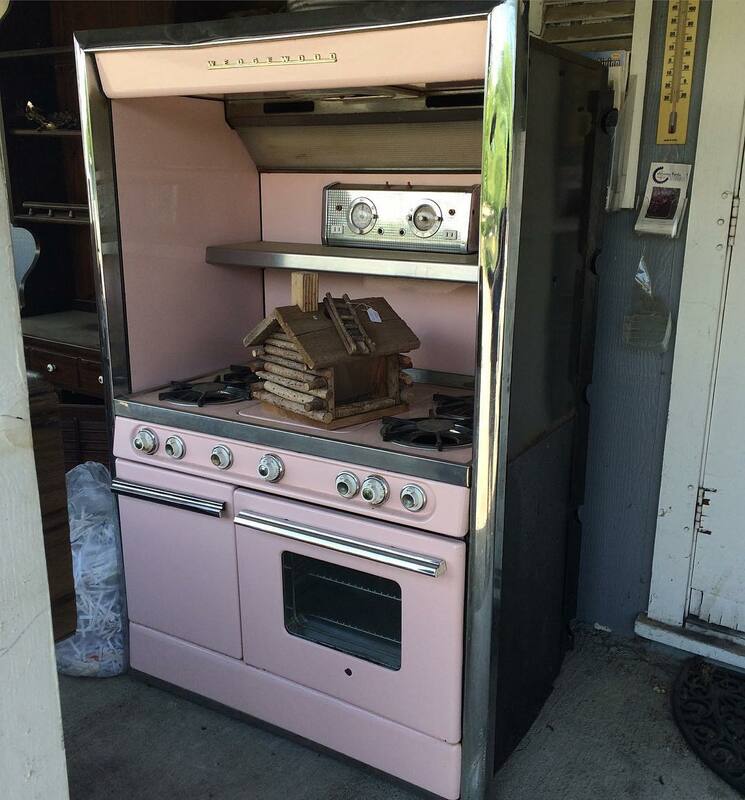 However, in the 50’s pink was very popular for kitchens — considered a woman’s domain. Pink often replaced the red in the color scheme above. The white and black grounded the color scheme and made the pink really pop. Even appliances where made in pink! Turquoise — This color of blue was very popular with the Atomic or space age style. Turquoise could be found mixed with black, white and lots of chrome. Sometimes a pop of red would be added as well. Companies jumped on the Turquoise band wagon and began making all kinds of kitchen appliances, furniture, flooring, accessories, decor and more in turquoise. Yellow — A carry over from the 40’s, yellow really exploded in the 50’s. Dinette sets, dishes, ceramics, wallpaper and counter tops were popular in yellow. Again, it was often paired with white and black. With a bright yellow, red or green was used as another accent color. The Retro look for appliances has been around for a while. There are a few companies that specialize in manufacturing retro style major appliances. They are gorgeous and would be at home in any kitchen. Lots of color and stainless steel for sure. You can’t judge a book… er…appliance by it’s cover — it may have the classic 1950’s appearance but the insides are 21st century all the way! Big Chill is a company out of Boulder, Colorado. An uncle and nephew started the company in 2001. 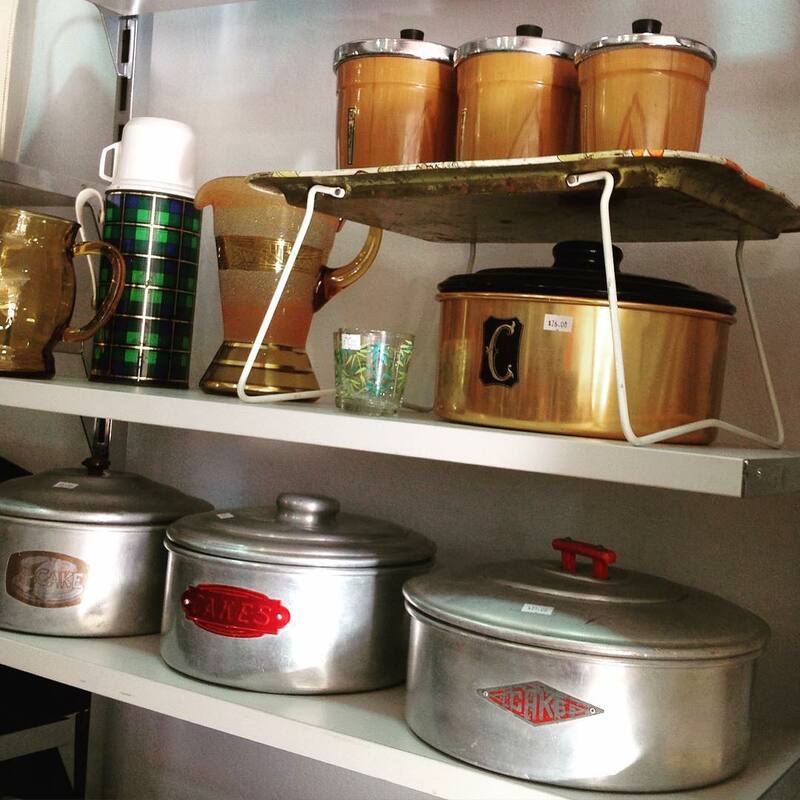 They offer retro style refrigerators, stoves and dishwashers in a rainbow of colors. They use a stamped metal body and real chrome to get that retro vibe. One of the easiest ways to infuse the retro feel into your existing kitchen is by adding retro touches to the countertops. Don’t underestimate the impact retro style appliances can make in any kitchen. Most of us use everyday appliances in our kitchens. 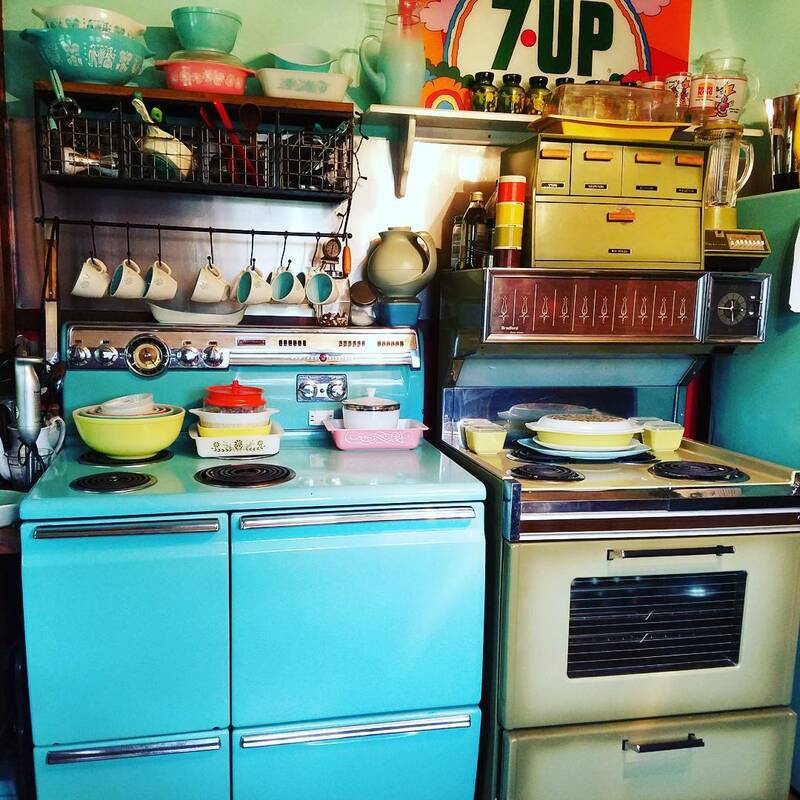 Choosing appliances that radiate the retro feel will automatically take you back in time! 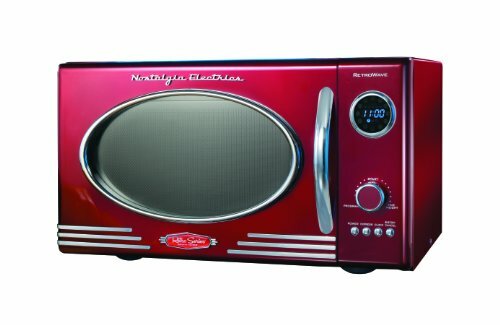 I absolutely love the look and feel of this retro style microwaves. Who can live these days without a microwave? Though it looks like it jumped straight out of a1950’s kitchen there is no mistaking the 21st century power of this 800 watt baby. The portal style window is my favorite! 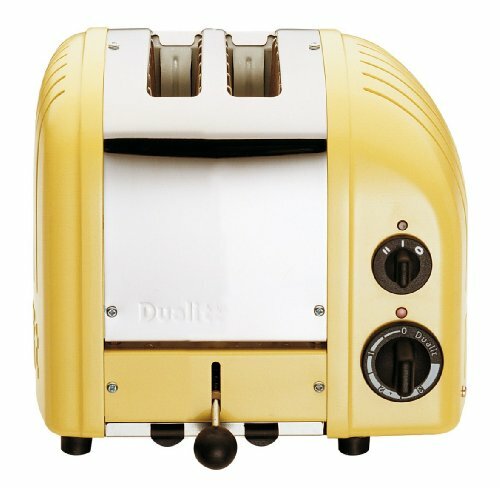 Lots of manufacturers make a retro style toaster. You have to find one that really speaks to you and complements your kitchen. I absolutely love the Dualit brand. I’m not crazy about 4 slice toasters — I think they take up too much room and I don’t mind waiting for my toast, bagel or English muffin so a two slice toaster is just fine. 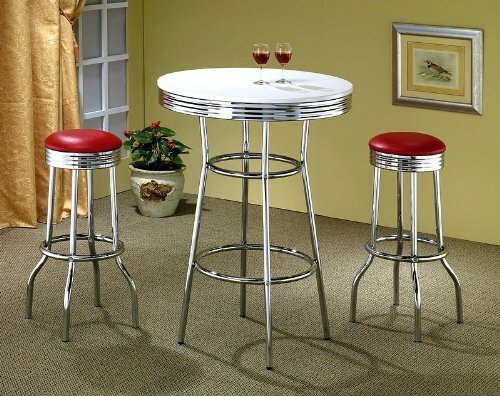 Nothing says “retro” more than this style pub set. the chrome plated legs and Formica style top take you right back to the soda shoppe. You can find one to match any color scheme. 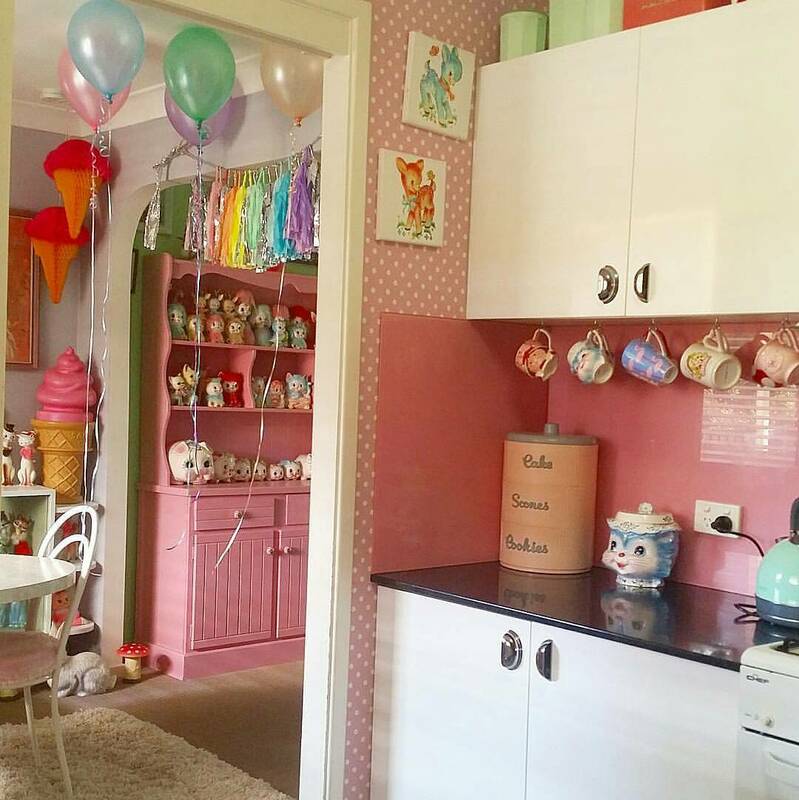 There are simply thousands of ideas out there to liven up the walls of your retro kitchen. Anything from pin-up girls to starbursts to Kit Kat clocks. Use your wall decor as an opportunity to pop some color. It was not unusual for a kitchen to have white walls and cabinets. You can break up the white by adding interest, color and texture through your wall decor choices. 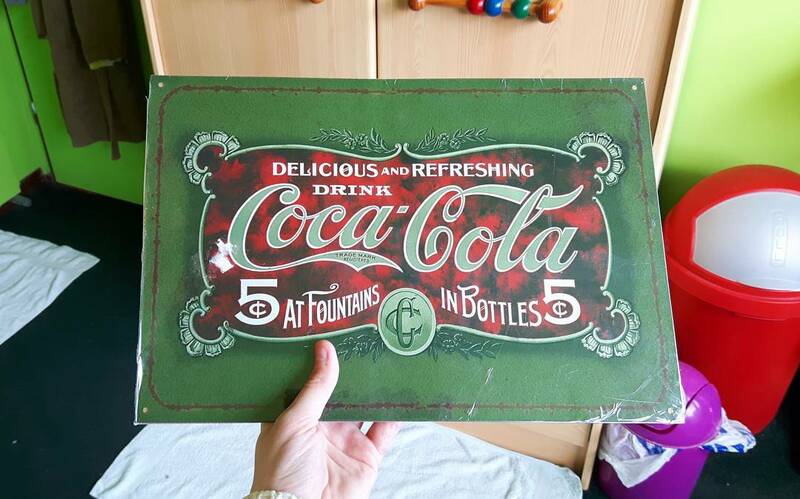 You can use vintage advertising as a base for your wall decor. 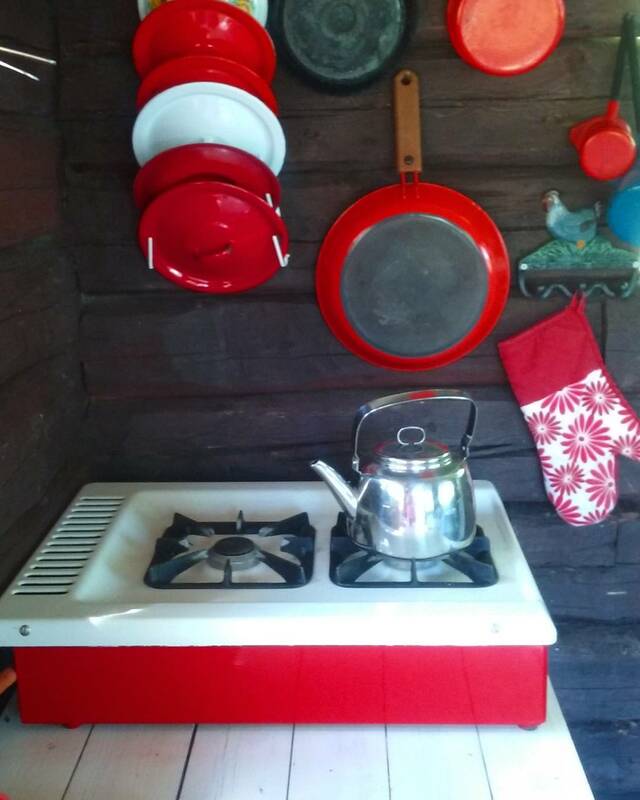 I used to have a Coca-Cola kitchen. It wasn’t over the top with wall to wall Coke stuff. Instead, I chose some favorites like a chalkboard/message center, small plates with vintage coke ads, vintage ad ppostcards and a few tim signs in different shapes and sizes. The overall effect was “diner” without feeling like it was shoved down your throat. Shiny chrome was a big accessory in the 1950’s. 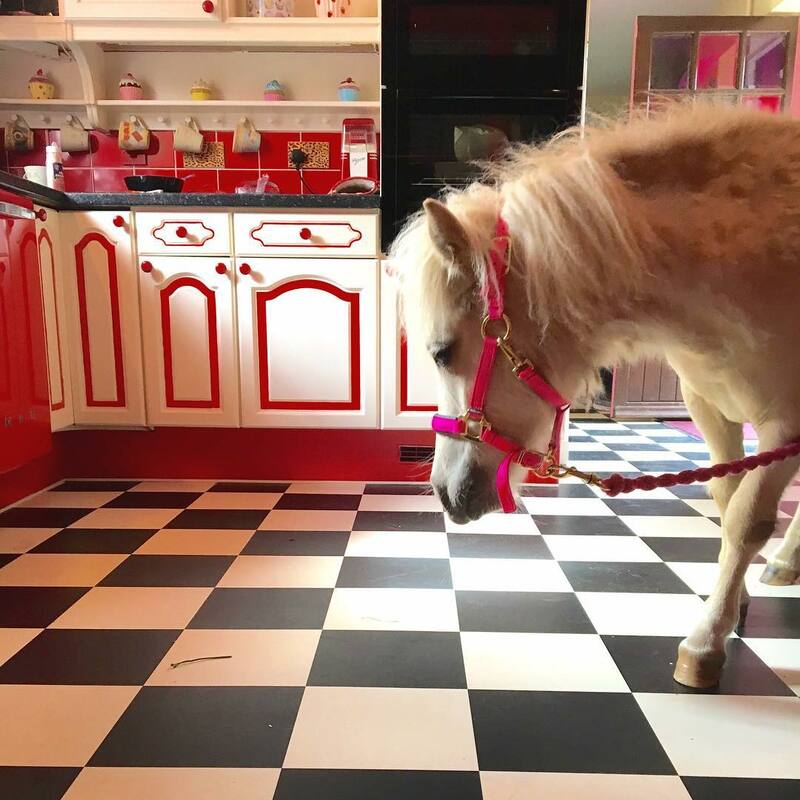 It was on bicycles, cars and, of course, in the kitchen. Major appliances were accented with chrome, small appliances like toasters, and percolators were gleaming, even breadboxes and cabinet hardware were made of chrome or stainless steel. This was a nod to the modern, space age/atomic era of the times. In recreating a kitchen with a retro feel, you have to incorporate a chrome look. Depending on your budget, small additions like cabinet hardware or chrome-look appliances, clocks, chrome accented light fixtures or aluminum canisters are a great choice. If you have a bigger budget, consider a chrome and Formica dinette, chrome accented bar stools or a tea cart/workstation used as extra storage or an island. These types of touches can lend to the retro feel without breaking the bank. 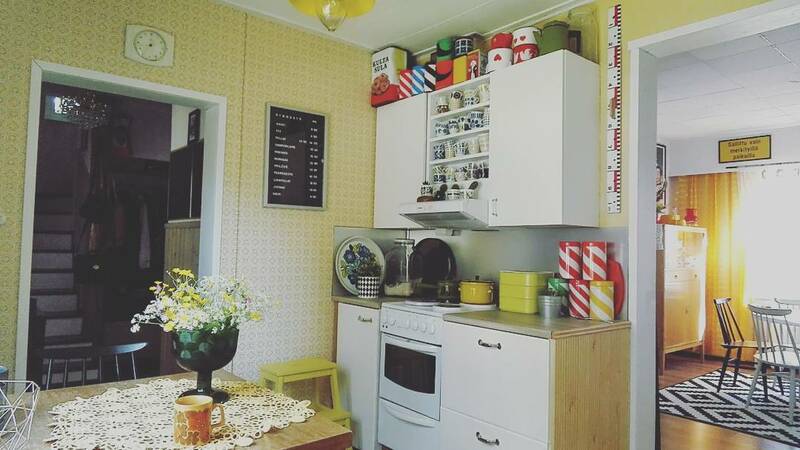 Have fun decorating your retro kitchen!